I believe this is absolutely true. 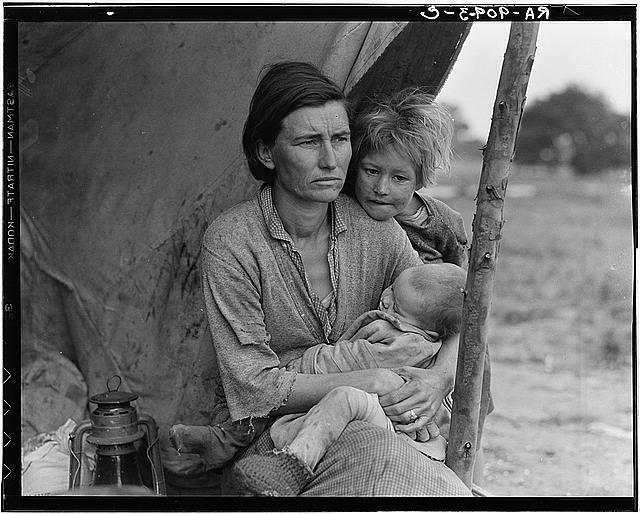 The photographs revealed the devastation and hardship of the migrant worker’s life. Due to the published photographs of this event, the plight of the migrant worker now had a face. I saw and approached the hungry and desperate mother, as if drawn by a magnet. I do not remember how I explained my presence or my camera to her, but I do remember she asked me no questions. I made five exposures, working closer and closer from the same direction. I did not ask her name or her history. She told me her age, that she was thirty-two. She said that they had been living on frozen vegetables from the surrounding fields, and birds that the children killed. She had just sold the tires from her car to buy food. 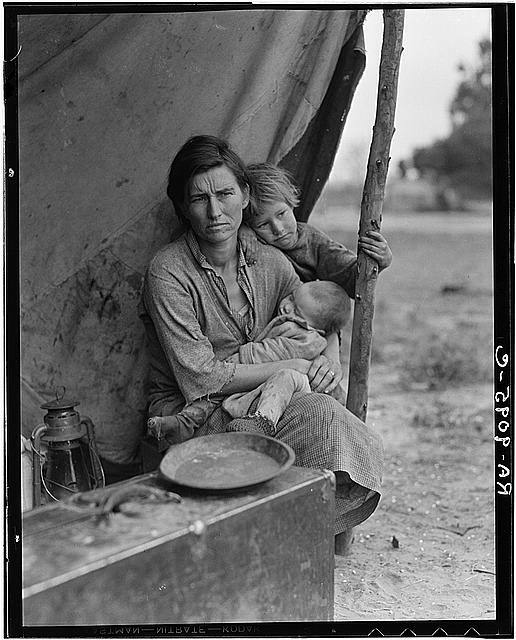 There she sat in that lean- to tent with her children huddled around her, and seemed to know that my pictures might help her, and so she helped me. There was a sort of equality about it. (Popular Photography, Feb. 1960). I took a break from blogging for nearly 2 months…and was surprised to discover that my humble photo blog is getting an amazing number of hits. And it seems as if folks really are interested in the history of photography. So, to continue in this vein I will post some of my assignments from a History of Photography course I took not long ago. Hope you all enjoy! Lewis Hine took up photography in his thirties as a teacher at the School of Ethical Culture in New York. 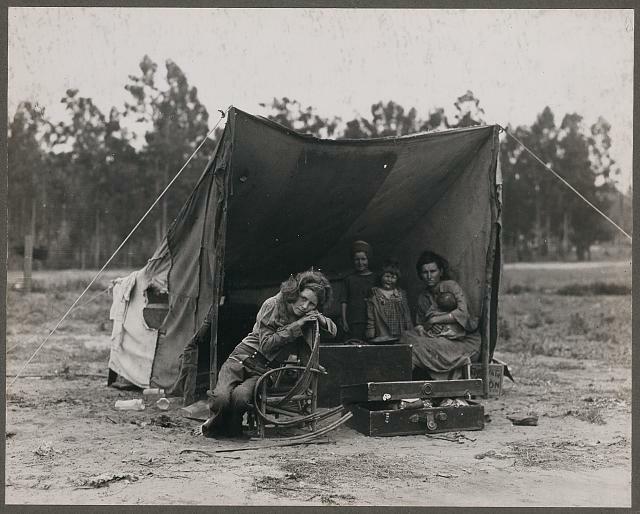 He was given a camera to record social conditions and he took to the medium of photography to study and describe the social conditions of his time. 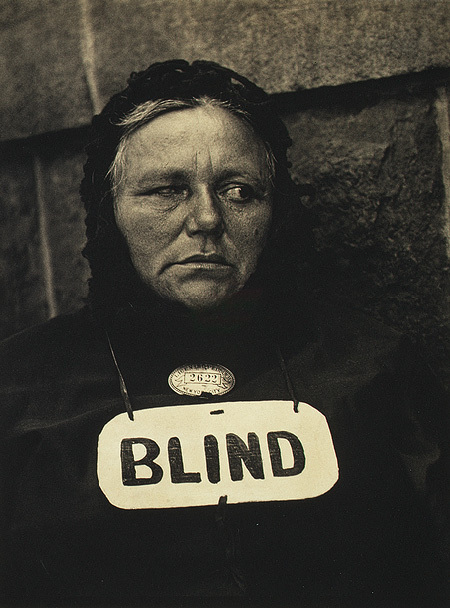 Interestingly, Hine introduced one of his students, Paul Strand, to photography who went on to become a prominent American photographer. Today Hine is known more as a social reformer than a photographer. 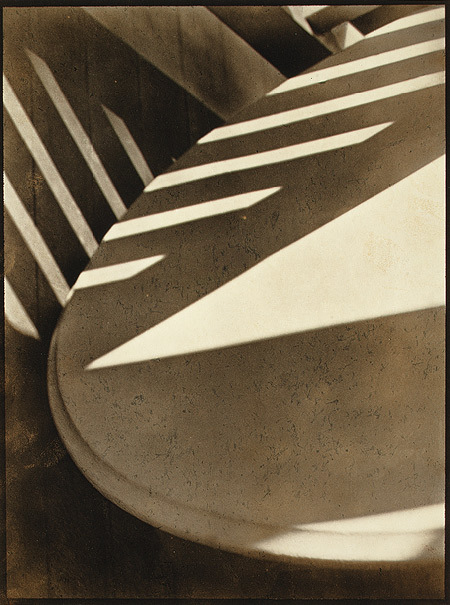 Due to his discerning eye his photographs evoke hard working people who had skill, physicality, and endurance. He portrayed his subjects, who were often lower class, ‘common people’ with dignity and respect. 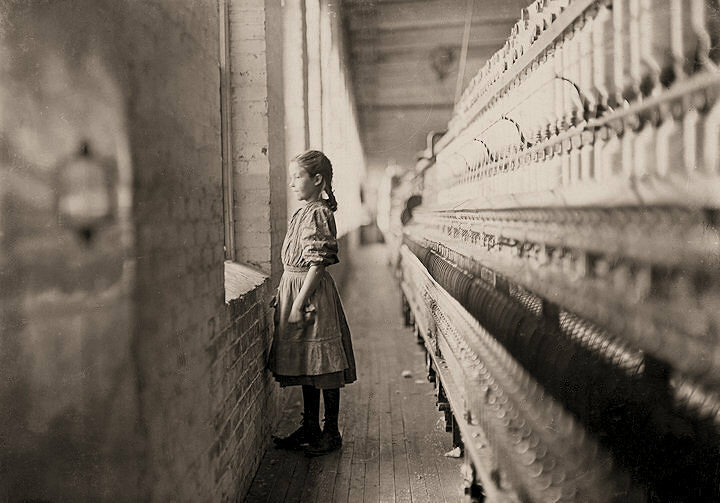 This is an early Lewis Hine photo of twelve-year-old Annie Card, a spinner in a cotton mill in North Pownal, VT. 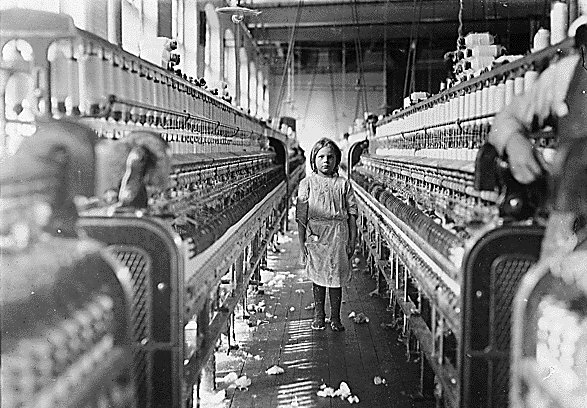 In the caption for the photo Hine entitles it “Anemic Little Spinner in North Pownal Cotton Mill, North Pownal, Vermont, August 1910.” This photo was featured on a US stamp commemorating the passage of the first child labor laws. And a novel, Counting on Grace, written by Elizabeth Winthrop, was inspired by Addie’s photograph and life. This photo is a good representation of Lewis Hine’s work at this time in his life. 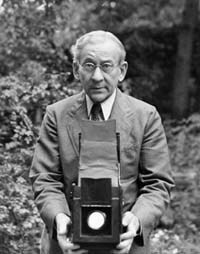 About this time he was he was the photographer for the National Child Labor Committee (NCLC) having left his teaching position at the Ethical Culture School in 1908. During the next decade of his life, Hine documented child labor to aid the NCLC’s lobbying efforts to end the practice. 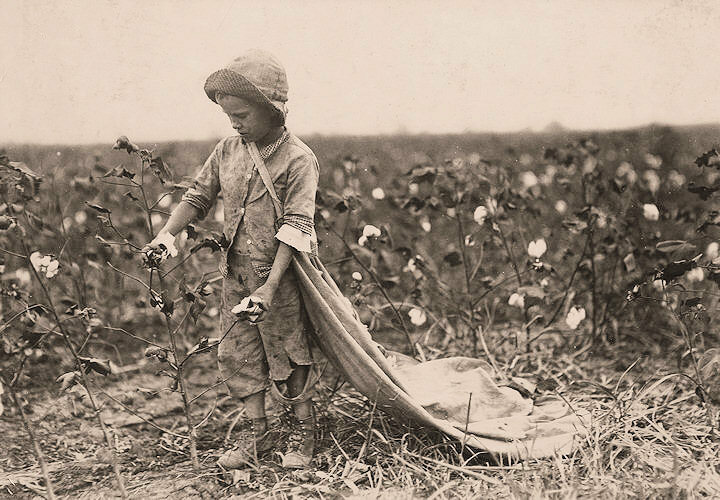 Fortunately, his efforts paid off and his photos triggered an emotional response garnering support of child labor reform. 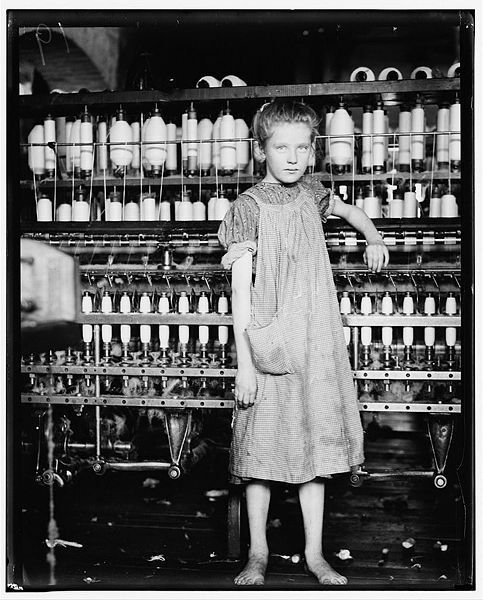 In this photo Annie is dwarfed by the large industrial spinning machine and most striking to me are her bare feet and the look of hopelessness that encompasses her face (and body language.) She has essentially lost her childhood and any semblance of a life to an industrial monstrosity. Sadly Lewis Hine’s career suffered during the Depression (ironically FSA photographers were hired to document the depression as we will see in future posts). 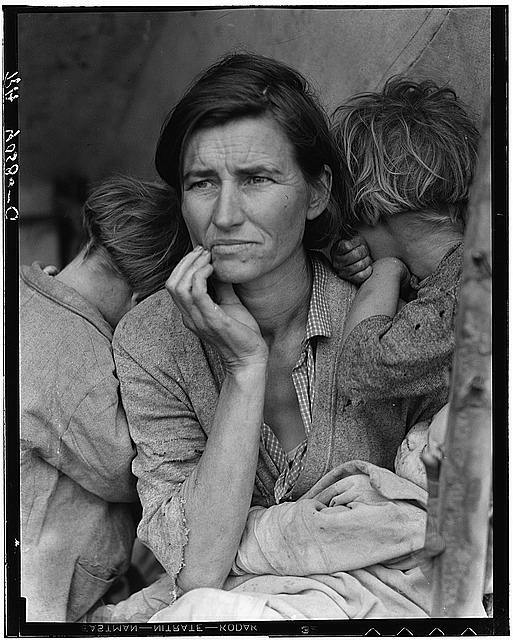 Art photography was coming into fashion…Hine became impoverished, lost his house to foreclosure, and lived on welfare. His wife died on Christmas 1938. He died in November of 1940 alone in a state hospital. Tragically,Hine, a school teacher turned social activist/reformer died enduring some of the same social problems he had documented. In summary, Lewis Hine spent his lifetime documenting the plight of the poor and disenfranchised workers and immigrants of the United States. He spent his life helping others using his camera. And his work continues to inspire and enlighten us to this day. There are several documentaries that cover Lewis Hine, one is America and Lewis Hine released in 1984. Perhaps you are weary of child labor pictures. Well, so are the rest of us, but we propose to make you and the whole country so sick and tired of the whole business that when the time for action comes, child labor pictures will be records of the past.